The Law Office of Kevin Bessant & Associates has always been dedicated to protecting the rights of persons accused or charged with a crime in Michigan. 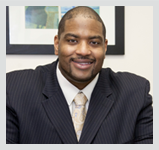 Even as an undergraduate student majoring in Criminal Justice, Detroit Criminal Attorney Kevin Bessant knew that sometimes bad things happen to good people, but that quality legal representation was not always available. This is why the Law Office of Kevin Bessant & Associates has dedicated his legal practice to providing superior quality services to each and every client he represents to help them win their case and beat their criminal charges. Every client deserves the proper attention, time, and dedication to their case and legal matter to ensure a positive outcome for them or a loved one. This is what makes the Law Office of Kevin Bessant & Associates different from other law offices and is why Criminal Defense Detroit Attorney Kevin Bessant goes the extra mile for every client he represents! With several years of trial experience in State and Federal Court, we at the Law Office of Kevin Bessant & Associates understands the confusion, fears, anxiety, and stress that come with facing possible jail or prison time, and the severe consequences of a criminal conviction, especially to those who have never been charged with a crime before. If you have concerns about your criminal charges,call our office today for a free consultation or online consultation. 313-658-8159. That is why our legal team approaches each criminal matter with the proper commitment, skill and aggressiveness necessary to ensure your rights are protected, and to FIGHT the police and government prosecution head-on in an effort to reduce the charges, seek a dismissal, or win your case at trial! You can trust Detroit Criminal Lawyer Kevin Bessant to handle your legal matter with individualized attention, professionalism, and aggressive courtroom litigation!